What can visitors expect by visiting your stand? Our friendly and enthusiastic team will be on hand to talk about what heritage learning means, why it matters, how you can support it in your museum and how you can develop as a learning professional. We will be sharing details of our courses, networks, publications, resources and advertising services and helping you find CPD support in your area. Don’t miss our masterclass Empower the Educator! on Wednesday at 10:30 in the Expert Zone! What is your primary role in the sector? GEM champions excellence in heritage learning with the core belief that access to education in museums, heritage and cultural settings is vital to the welfare of the individual and society. We support all those working and interested in heritage learning with training, networking, publications, news, resources and advertising. Why is it important to you to be involved in the Museums + Heritage Show? GEM is a welcoming grass-roots organisation; our work and our sector is all about people! So we love coming to the bustling M+H Show to meet new faces and catch up with old ones and spread the word about the value of heritage learning. What are your goals of participating in this year’s Show? We have just launched a new annual training programme and new website, so we are aiming to raise awareness of our new events and services and take the opportunity to advocate more broadly for learning. What do you think are some of the key challenges professionals are currently facing in this sector? 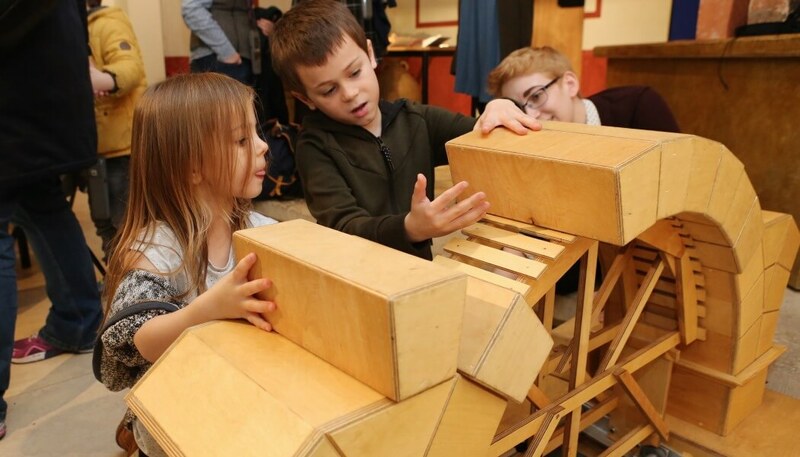 It’s an exciting time to be working in museums and heritage, as we address essential issues in areas like inclusion, digital experiences, wellbeing and school provision. Professionals in the sector are having to keep up with a lot of conversations and find ways to implement new ideas with increasingly strained resources. The workforce is a crucial resource that we must make sure to value and care for. What are you looking forward to most at this year’s Museums + Heritage Show? We are really looking forward to meeting the amazing people involved in museums and heritage! We are always inspired by the workforce and volunteers that make this sector so special! This Q&A is part of a series leading up to the Musuems + Heritage Show, which you can see here.